Cell Activator capsules are a source of key B vitamins that can help to convert food to energy. 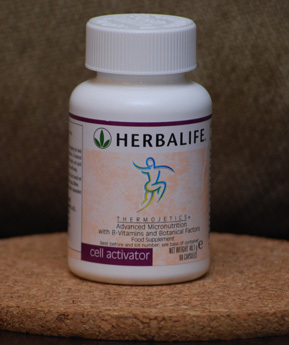 Cell Activator also helps support energy metabolism and production; this is essential whether on a weight management programme or as part of a busy, active or sporty lifestyle. Contains the essential trace mineral copper to support energy production. B vitamins are essential for energy metabolism and production by helping to release energy from the foods we consume. Because B vitamins are water soluble, they are not stored by the body, so it is important to ensure your body receives the daily required intake either through increased consumption of vitamin B rich foods, or supplementation. This is particularly important if you are on a weight management programme or lead an active or sporty lifestyle. By taking Cell Activator tablets throughout the day you can help your body release energy from foods, so you get the most nutritional benefit out of your food.